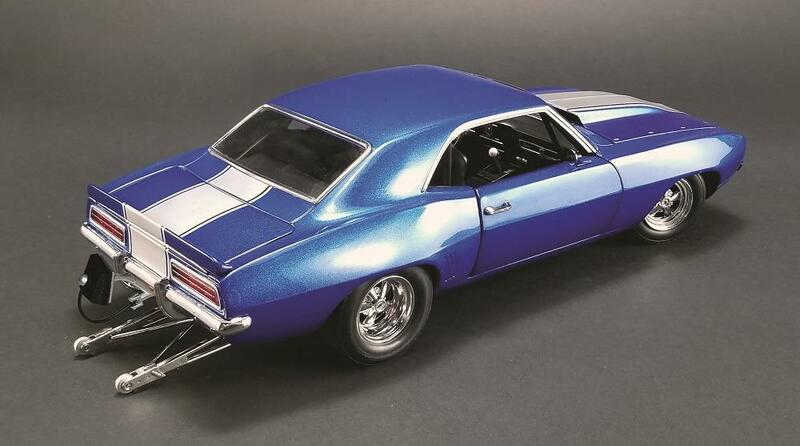 GMP Diecast 1320 Drag Kings 1969 Chevrolet Camaro 1:18 Scale Model Blue G18876 - California Car Cover Co. 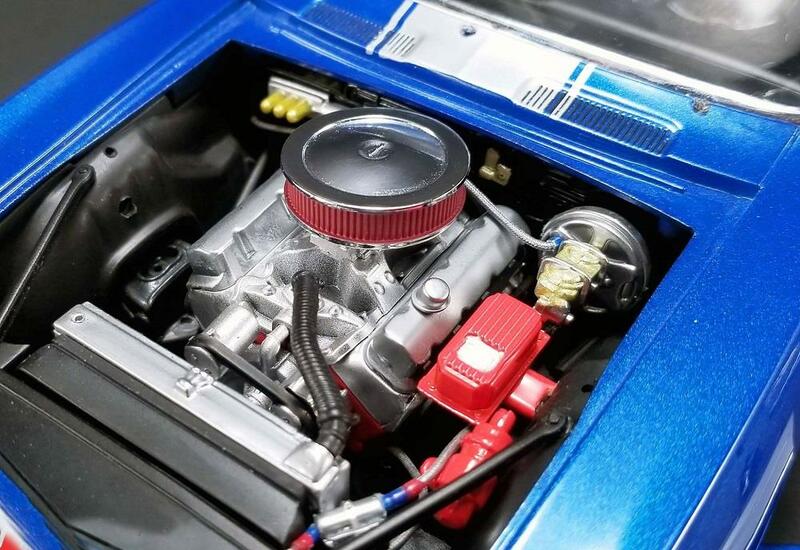 The latest from the GMP Diecast 1320 Drag Kings Series, this 1969 Chevy Camaro 1:18 Scale Model G18876 is loaded with a Chevy big block that will surely hit finish line in first place. 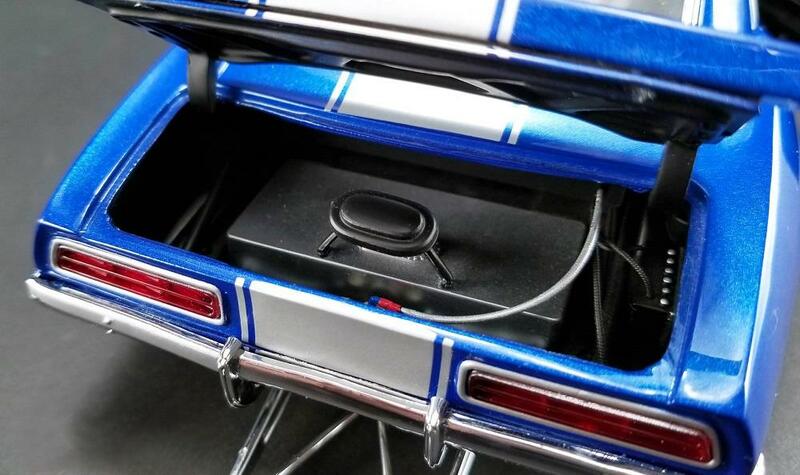 This diecast replica starts with a sleek blue and white paint scheme and features a lift-off hood to reveal the detailed Chevy big block engine, opening doors, trunk and hood. 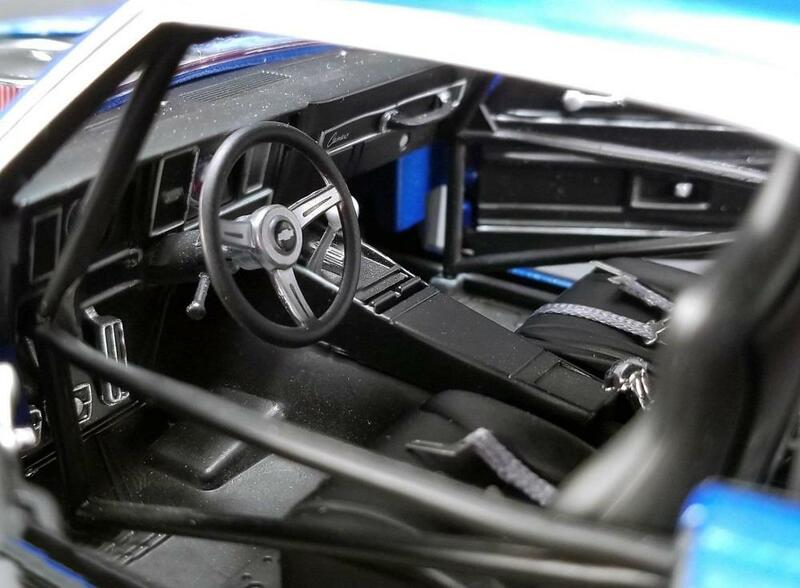 The interior includes roll cage, drag seats and cloth seatbelts. 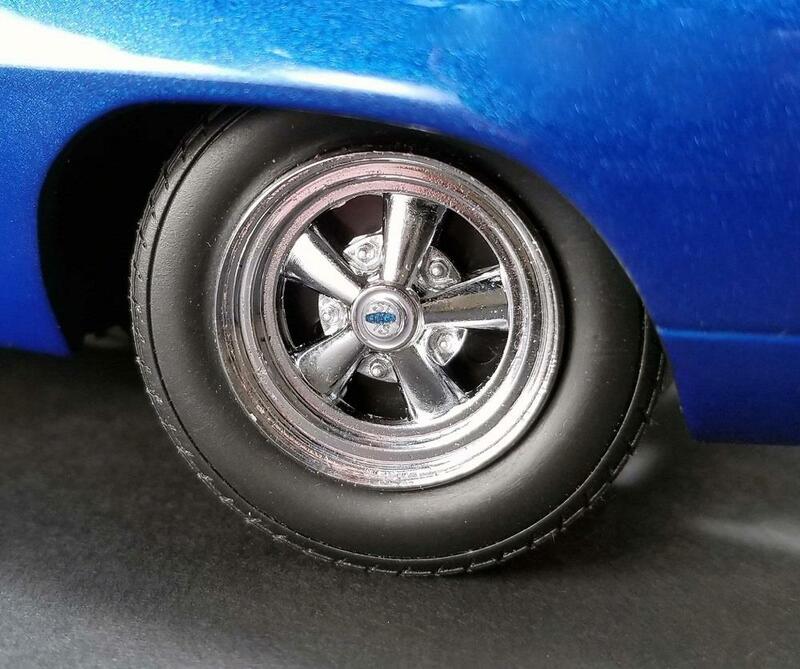 Polished drag wheels with real rubber tires, wheelie bars and drag parachute complete the package. 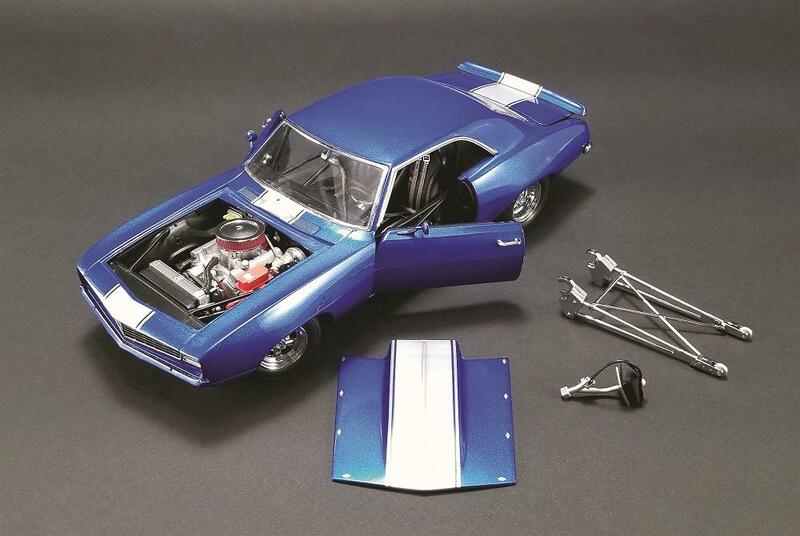 Produced in 1:18 scale. 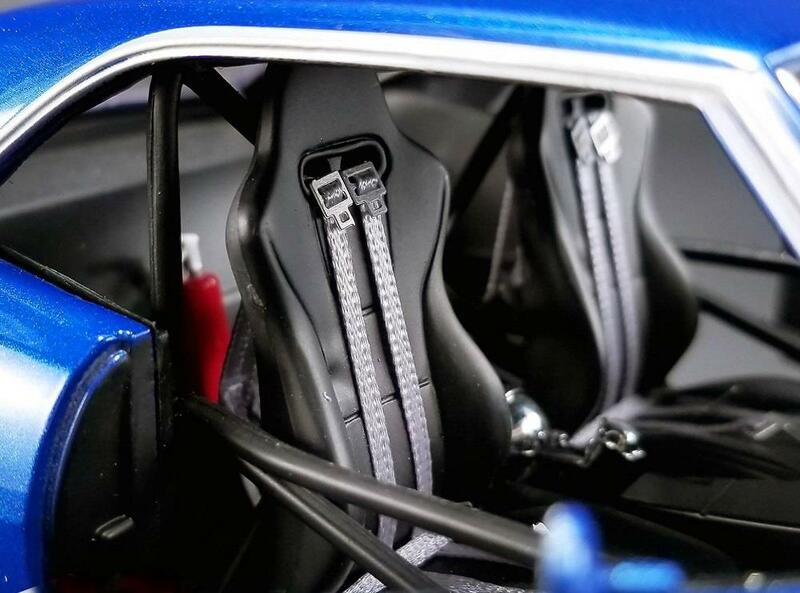 Limited edition of only 996 produced worldwide.